I know many of you out there must be wondering what's happened to me; I seem to have gone quiet again recently. I seem to recall doing the same thing after going to my first IPP two years ago. It's certainly not that I've had a lack of puzzles to solve, nor that I've not been puzzling because I have. So I thought it was about time I put down a few thoughts on some of the things I've been playing with. 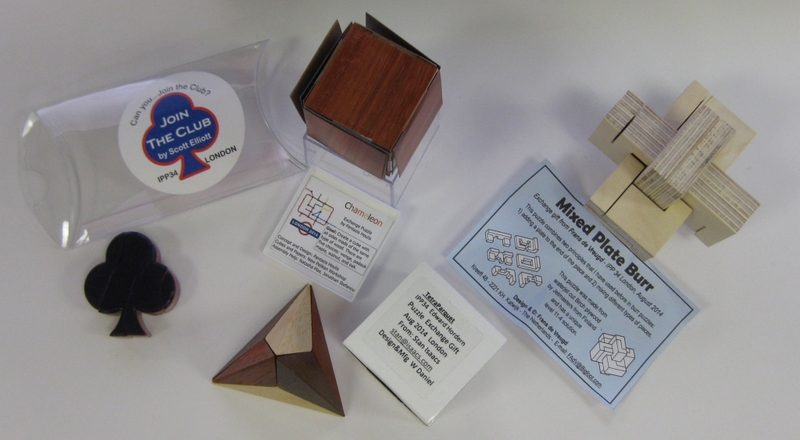 Having so many new puzzles from the Edward Hordern Exchange I'll try to give a few impressions, rather than a full review of each. I think if I tried to do a full review, it's unlikely I'd get through them all before the next IPP! 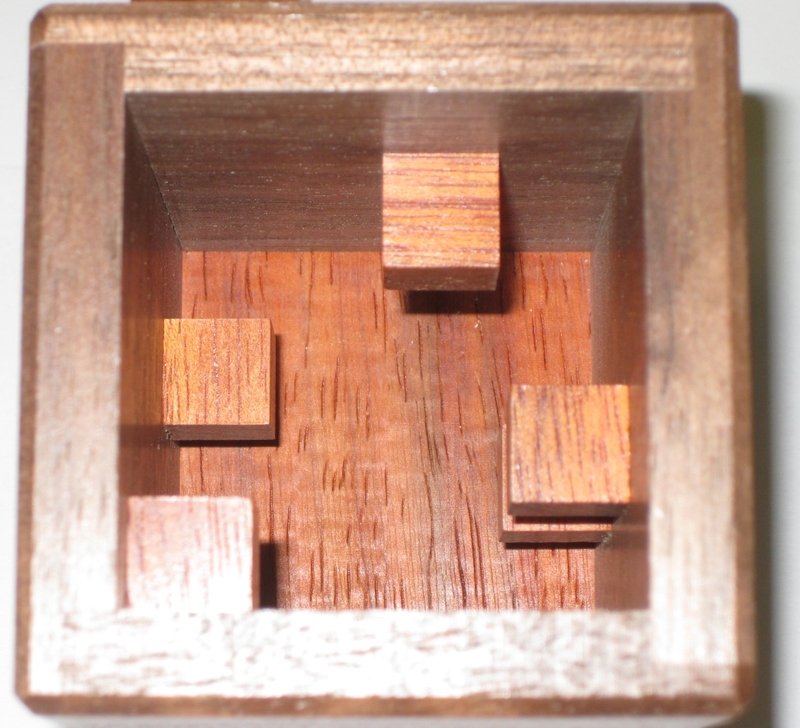 First up here's four of the puzzles I've played with and solved. From left to right we have "join the Club" by Scott Elliot, "TetraParquet" by Stan Isaacs, "Chameleon" by Pantazis Houlis and "Mixed Plate Burr" by Frans de Vreugd. Each of them is completely different from the others in this set, making them all a different challenge, and a very varied set of puzzles to play with. That's one of the great things I found with the exchange. There's a lot of different types of puzzler, and I know myself I tend not to buy certain styles of puzzle (Burr's being one of those), but here you get a great sample of all types and styles, and I've found myself trying and enjoying a number of puzzles I would normally have passed by. First up is Scott's "Join the Club". 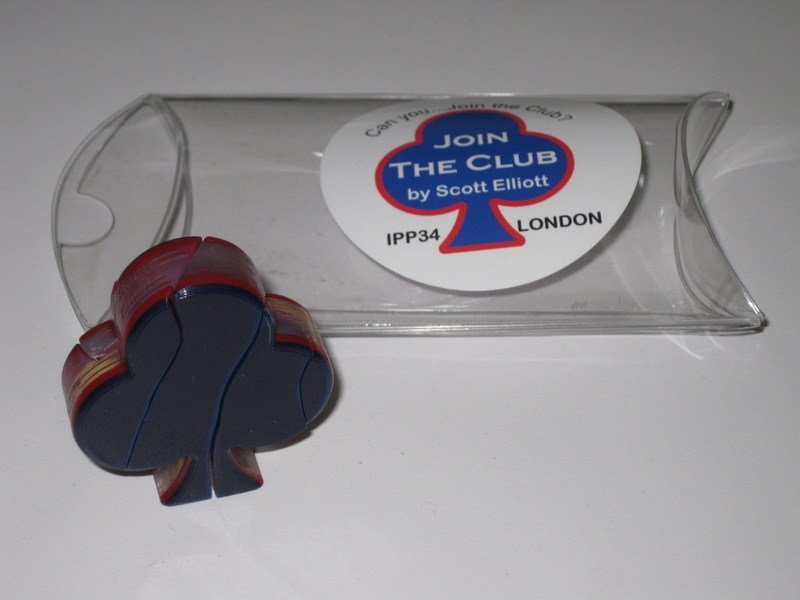 A fairly simple but great looking two piece puzzle where the goal is to join the two pieces into a club shape. This is one of what I'd call Scott's signature propeller dissections of an object, which requires a little bit of thought as to how the pieces come together, and then some fun motion to assemble it. I've found this is a good "fiddle factor" puzzle, that I can sit at my desk and put together, then take apart repeatedly while I work on a problem. Fun puzzle, and definitely worth picking up a copy. 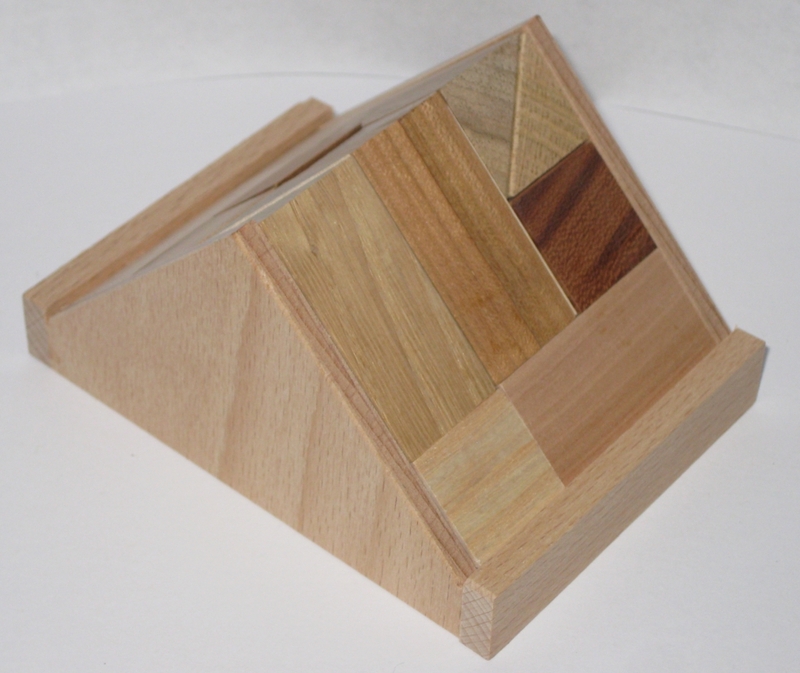 "TetraParquet" by Stan Isaacs is a beautiful looking object. 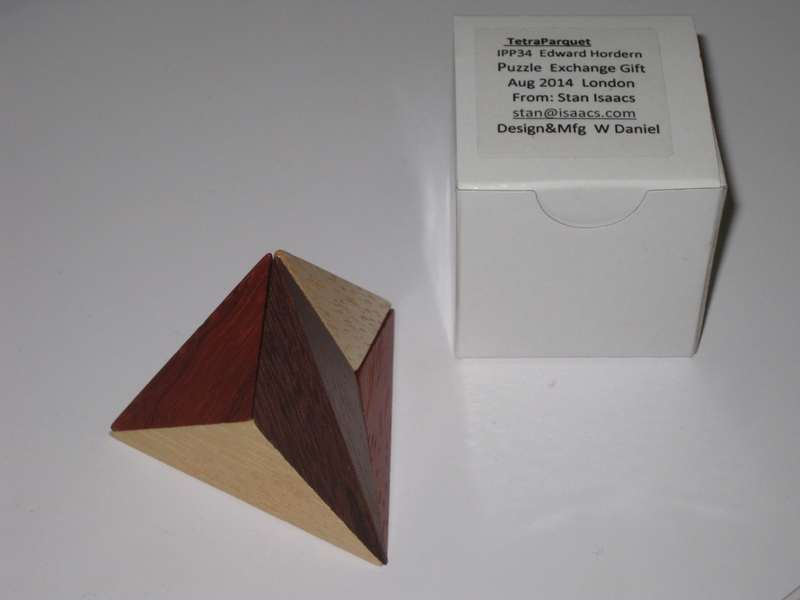 This triangular pyramid is made from six colour paired pieces of contrasting woods. 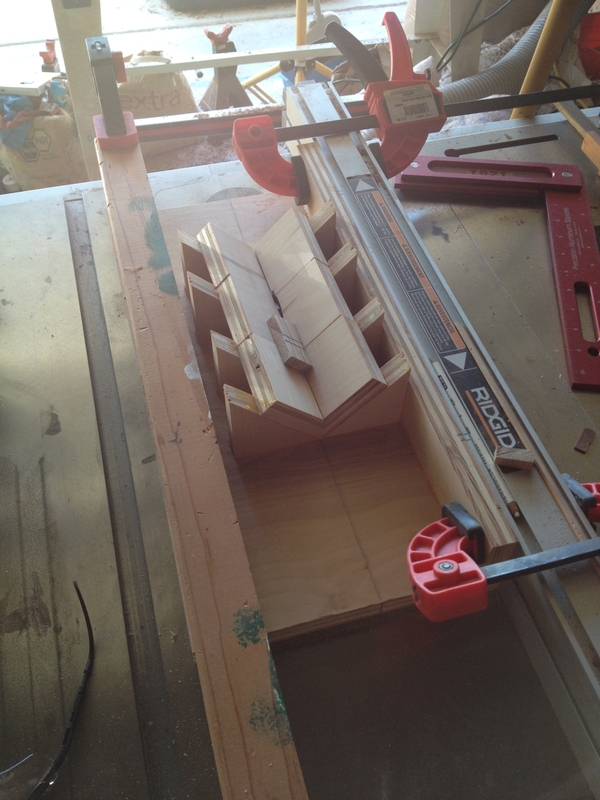 Designed and made by Wayne Daniel, his mastery of interesting angles, and incredibly accurate (and fine) joinery is apparent. Coming apart with a co-ordinate motion, the goal is to disassemble, scramble and re-assembe the pieces into the pyramid shape. 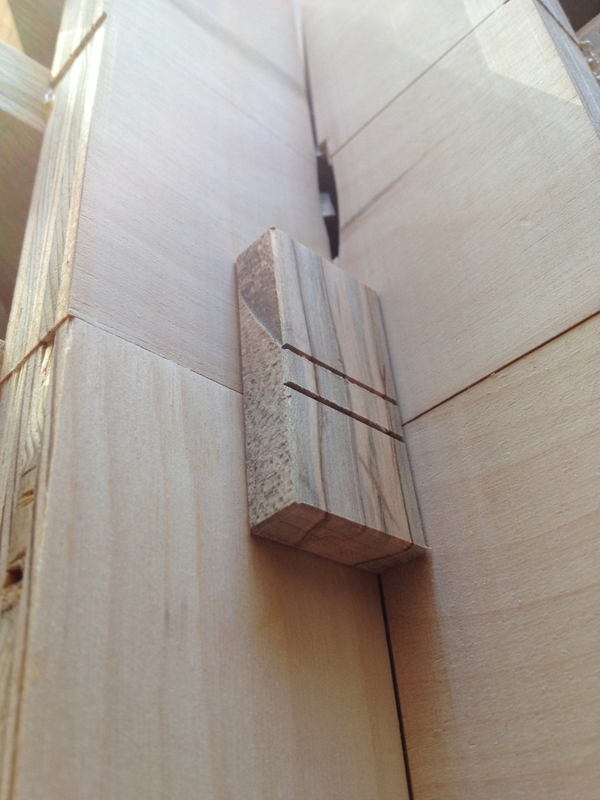 The mortise and tenon joinery inside is something to me marveled at, and it's this joinery which makes the puzzle. 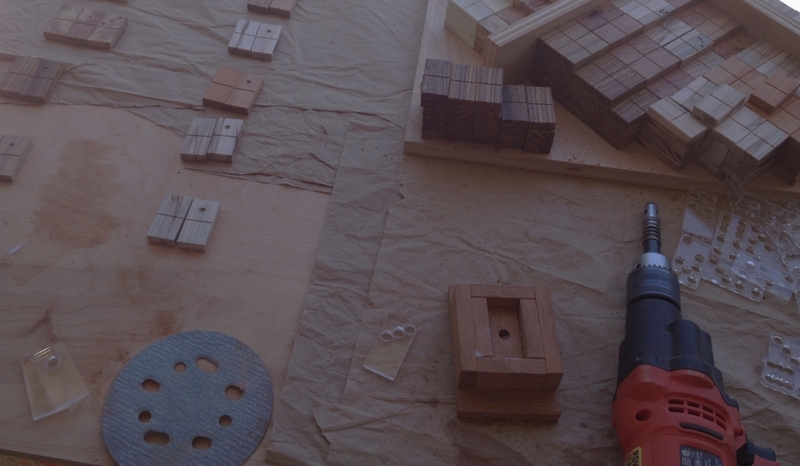 With some pieces having the mortise, and others the required tenon, arranging the pieces so all the slots line up with the tabs is a simple but satisfying challenge. And it looks great! 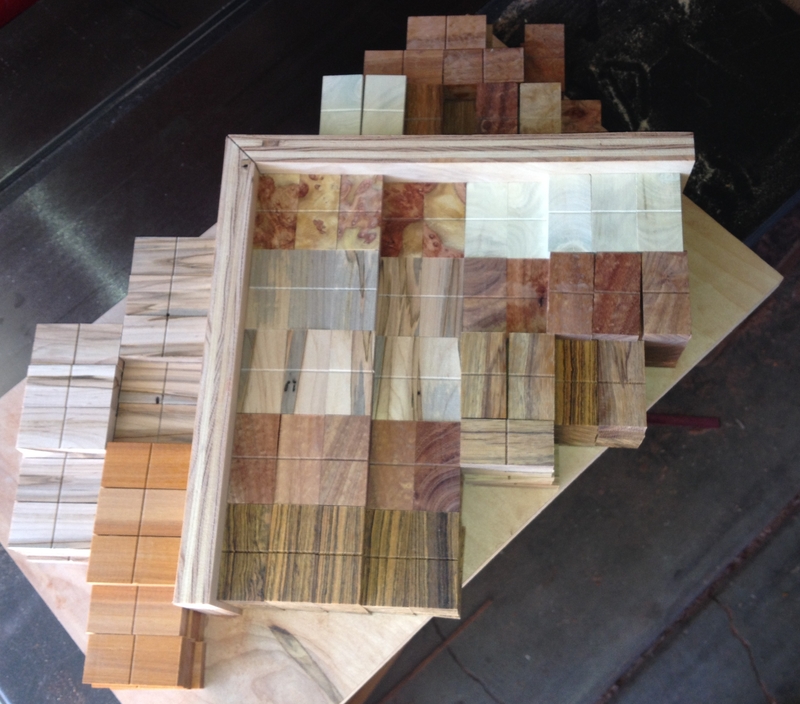 Not a difficult puzzle, but a great showpiece, and a stunning piece of woodworking. 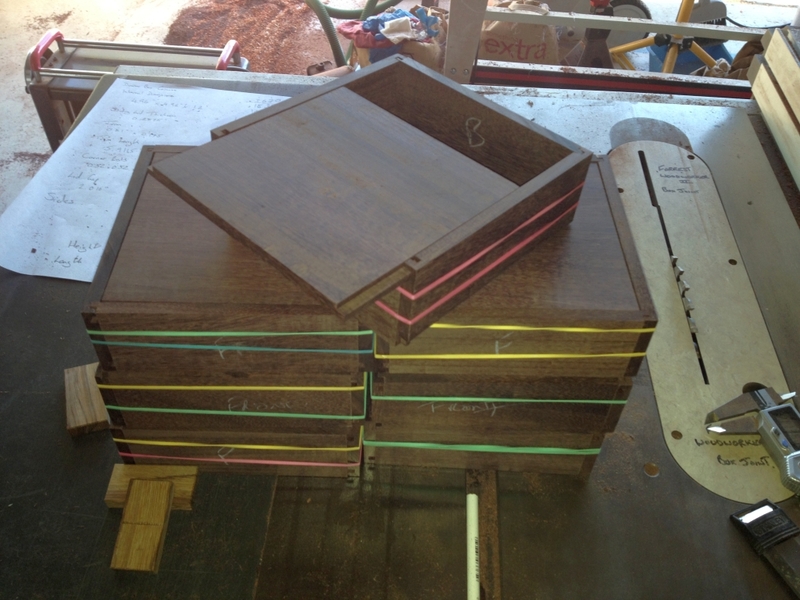 "Chameleon" by Pantazis Houlis which was made by the New Pelikan Workshop is an interesting idea. 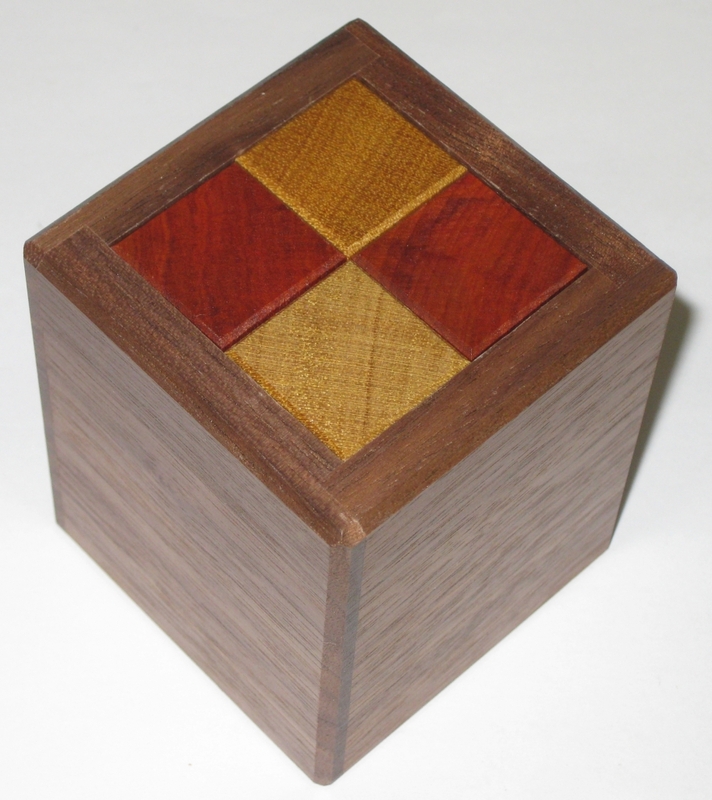 At it's core is a wooden cube which has been veneered with several different woods. Onto that cube a number of paper flaps have been attached with printed wood species, and the goal is to transform the cube into one of five woods, by hiding the flaps and leaving only the single species visible. In concept it's a nice idea, and it's a simple puzzle that will take you all of five minutes to solve each combination. 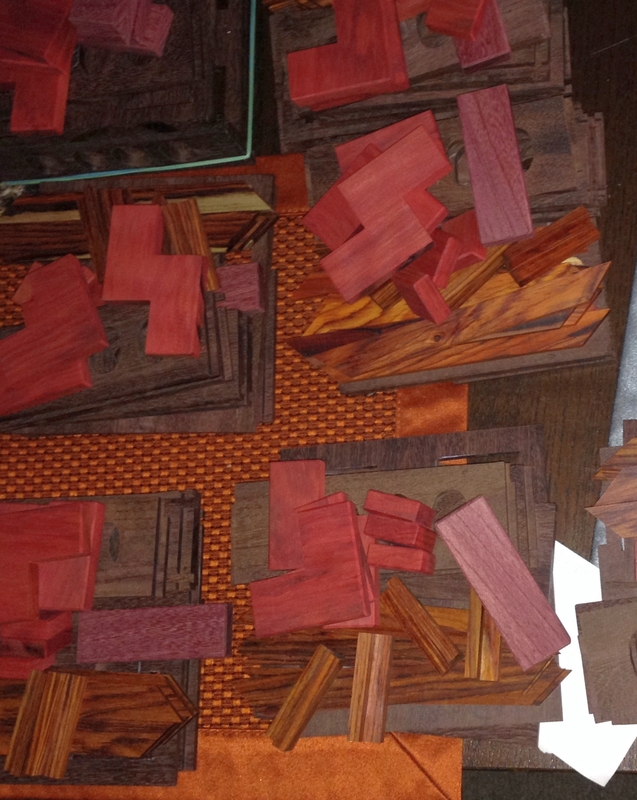 It's certainly not the most visually stunning puzzle out there, but it is fun, and the idea is quite different. I doubt this will be to everyone's taste, but I am glad I was able to play with it, and the fact that there is a real piece of each of the woods used on one face is a nice touch, and adds to the value. 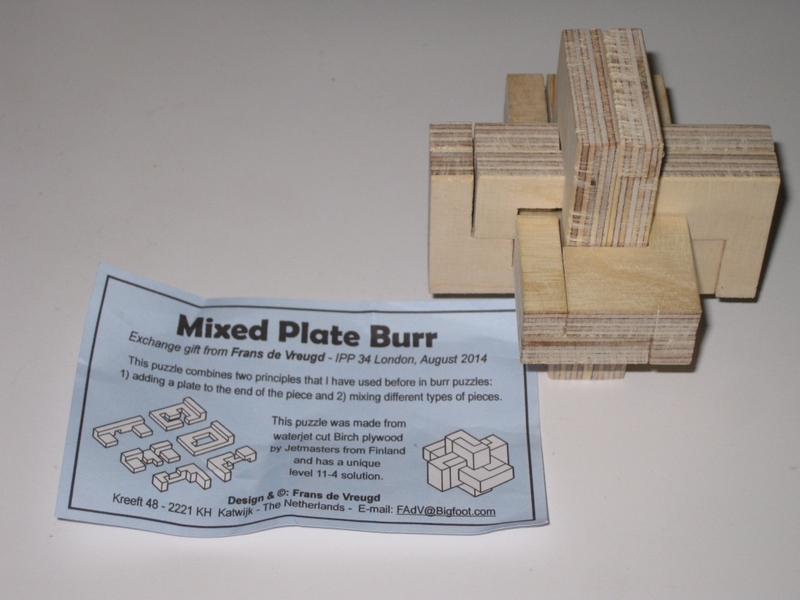 The last of the puzzles I'll touch on in this post is the "Mixed Plate Burr" by Frans de Vreugd. Now as I already mentioned, I'm not a huge burr fan, but I did pick this up and decide to give it a serious attempt. 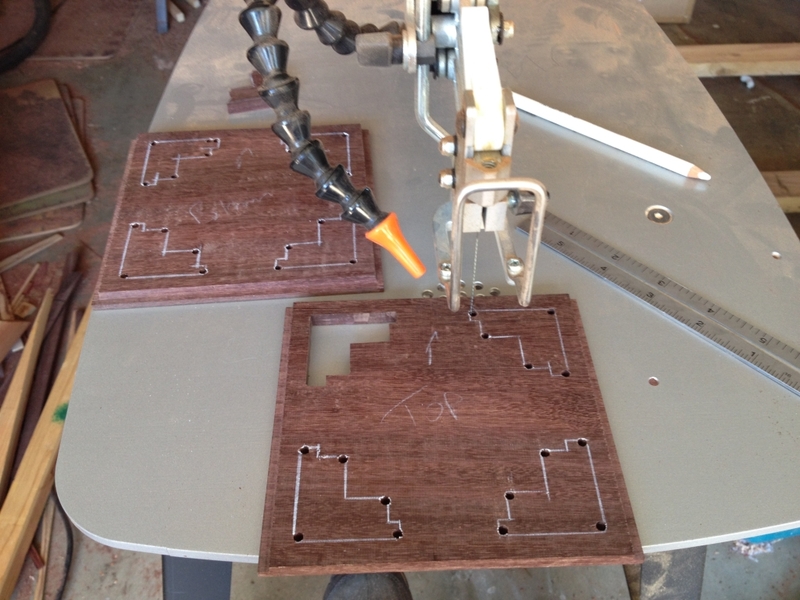 The pieces themselves are interesting, as they have been cut using a high pressure water cutter. 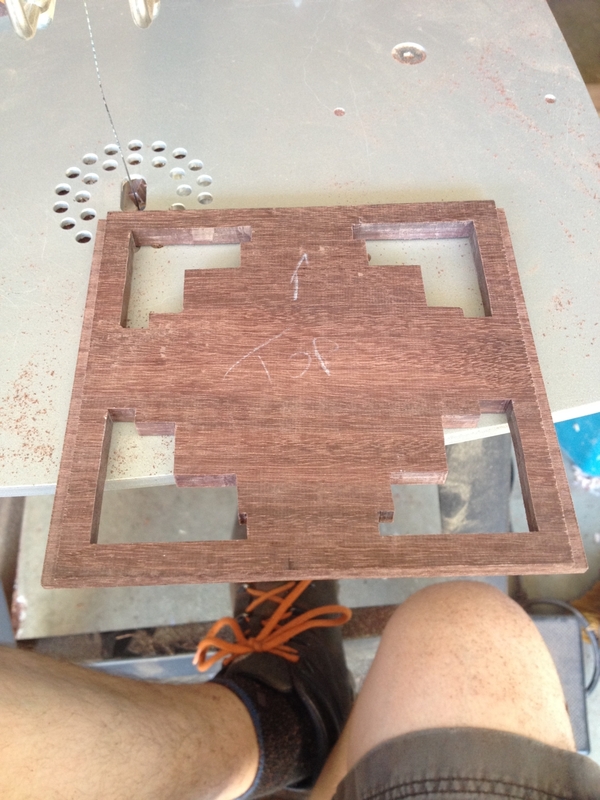 Not my first thought for cutting wood, but it does produce a very accurate cut, making this type of puzzle repeatable at a reasonable scale. Something I find interesting as a woodworker is that looking at the edges where the water blade cuts, there are marks that could easily be mistaken for a saw blade. 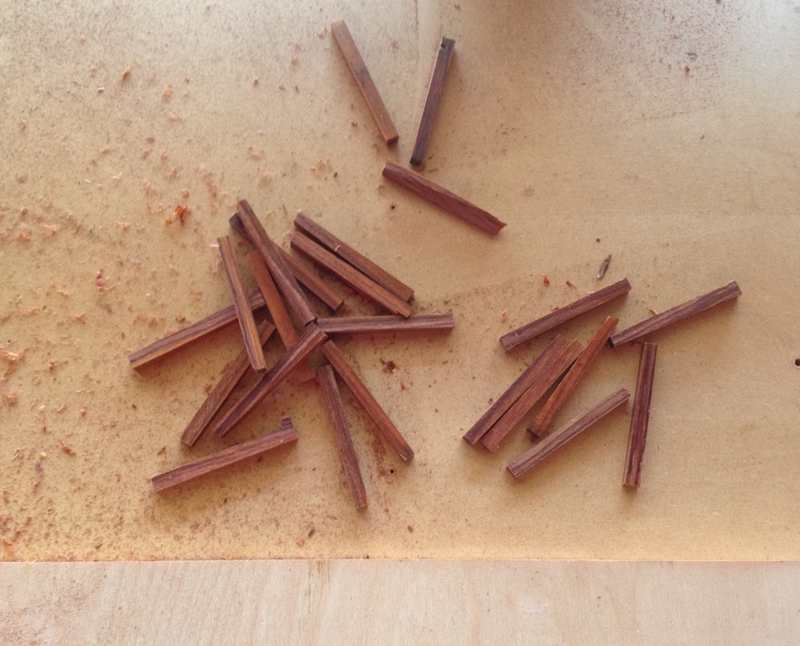 The Burr itself uses a mix of board burr pieces and standard burr pieces to make a standard six piece burr shape. Rated at 11.4 it's a reasonable level burr, but not too high that it's impossible. Where's the proof? Well I managed to assemble it without any use of Burr Tools. 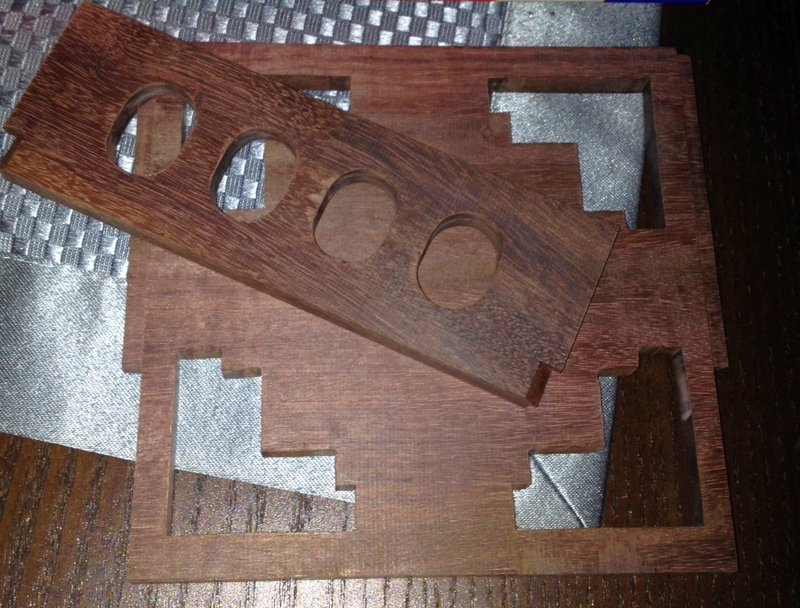 As I found out, Burr Tools would have been no use to me on this particular puzzle anyway, so it makes the fact that I put this together even more satisfying. Even if like me, you're not a burr man, take a look at this one. It's a little different, and while the Baltic Birch Ply is not a collectors piece, the puzzle itself more than makes up for its looks. Ring & String, or perhaps “Something memorable from IPP”? Hi all, it's been a good few weeks since I sat down and wrote anything, but then after a fantastic three and a half weeks touring the UK, catching up with friends and family; a wonderful long weekend with the MPP crowd soaking up the fantastic hospitality of the amazingly humble and welcoming Walker household; a week of IPP and many puzzle friends old and new, all mixed in with my one year delayed Honeymoon, it's good to be back, and probably about time I put a pen to paper, or finger to keyboard. 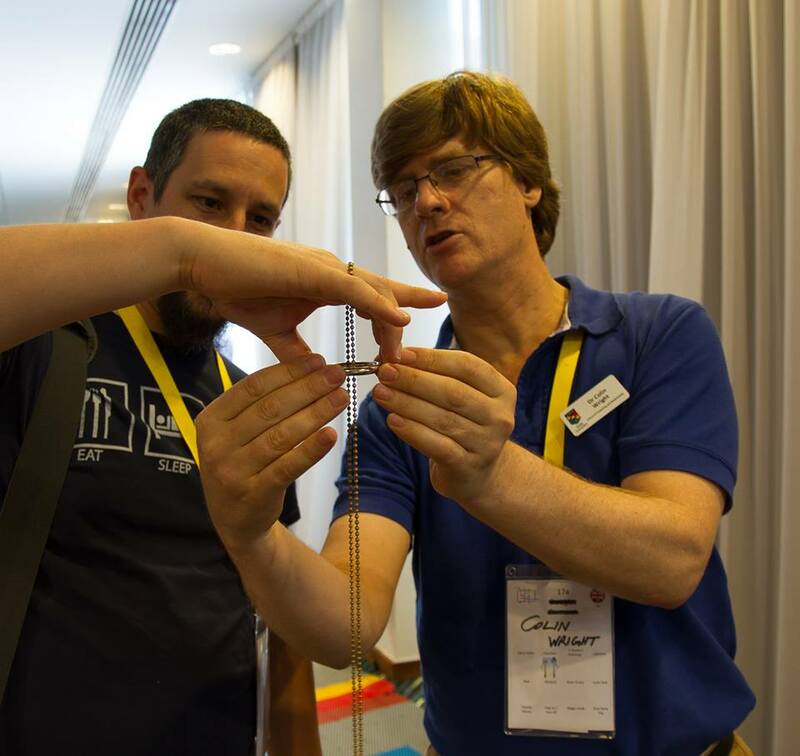 There's a good few puzzle bloggers out there who are writing about IPP, and all the fabulous conversations and events that took place over the week, so I'm not going to give you my account of what happened. But I do suggest you go read Allard's Assessment, Rox's Ramblings, and Jerry's Journey. They're all well worth reading, and will give you a good feeling for what a fantastic time was had by all. I've said it before and I'll no doubt say it again, the people in the puzzle community are an amazing group, and I'm proud and humbled to know each and every one of you, and to be able to call so many friends. Thank you. Colin was wandering around with a length of chain around his neck, attached to it there was a steel ring. At one point as I was wandering around talking to the myriad of puzzlers Colin had a group around him, and he was doing something interesting with said ring and "string". "Now, hold it like this ...."
Rather that try to explain, I'll just leave you with the video below. I am fortunate enough to have a high-speed camera now, so I took some footage at high speed showing what happens, and put that in the video. I don't show how to do this, but it's fantastic to see what's happening. Now, I took this to work with me to show a couple of my colleagues as I knew they would appreciate it. What happened though was entirely unexpected. Rather than asking how to do it, I was relieved of the pieces, and the team started trying to work out how to do it themselves. (I'm and engineer, and this has become a problem to be solved). For me this was fantastic. I've now seen about 4 different ways that can reproduce the result, none as elegant as what Colin showed me, and none that are nearly as reliable. So here's a challenge. Go get yourself a solid ring, a length of chain and try this for yourself. I'd love to see how you get on in the comments! Until next time, when I'll be back to puzzles, enjoy the video. 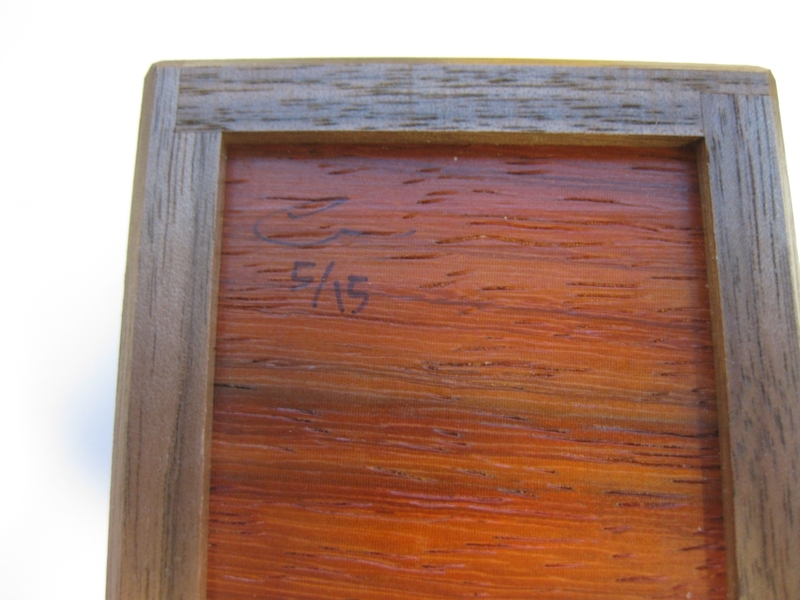 In the recent batch of puzzles from Eric Fuller, Shake Something caught my eye. 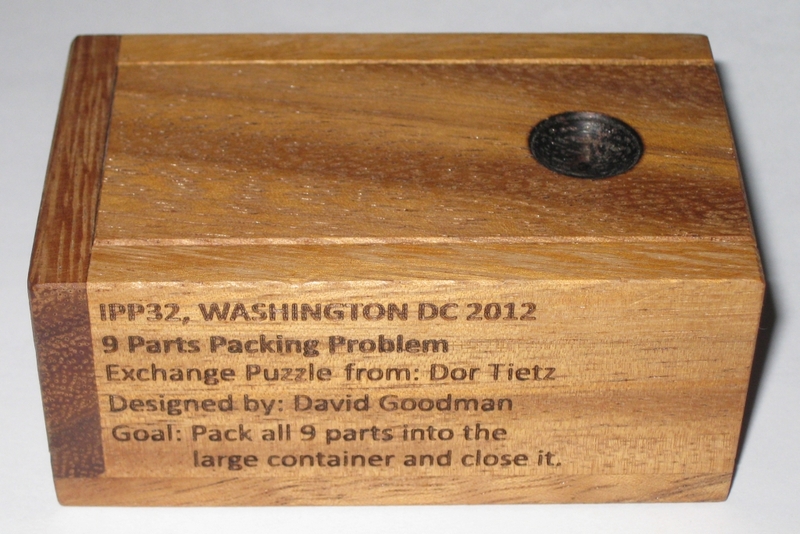 From a new designer, Dan Fast, this packing puzzle uses four burr pieces in a box to create an interesting challenge. It's always good to see a new designer creating puzzles which are both fun and different, and when they're made by Eric, you know they'll be well made. In this case Eric's living in the future, but it's all good. 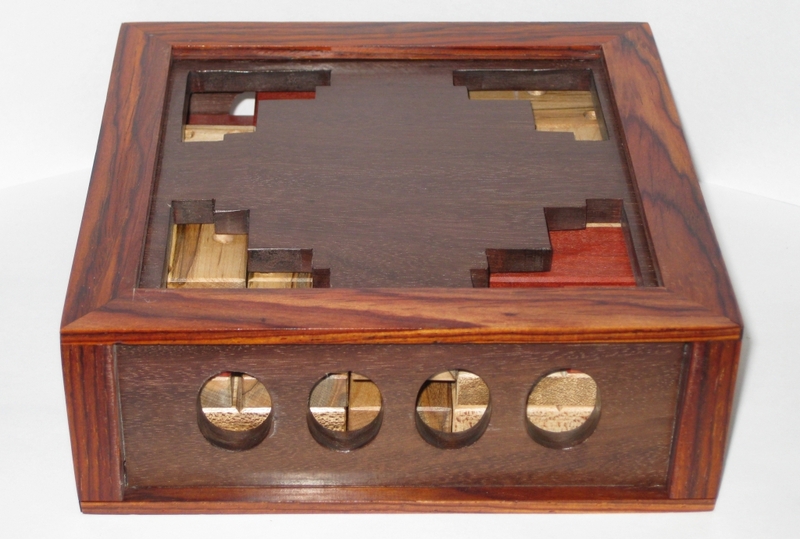 Made from a Walnut box with Paduak base and internal pins, with Yellowheart and Chakte Viga pieces the puzzle looks great. 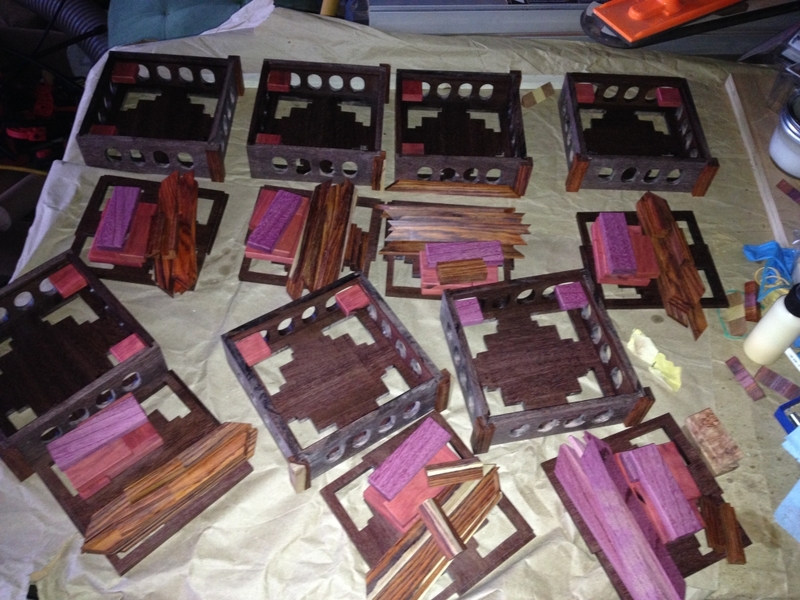 38 copies were made for sale, and all sold out quickly, as is common for Eric's puzzles. It's a good sign for Dan, and I look forward to seeing more of his designs. 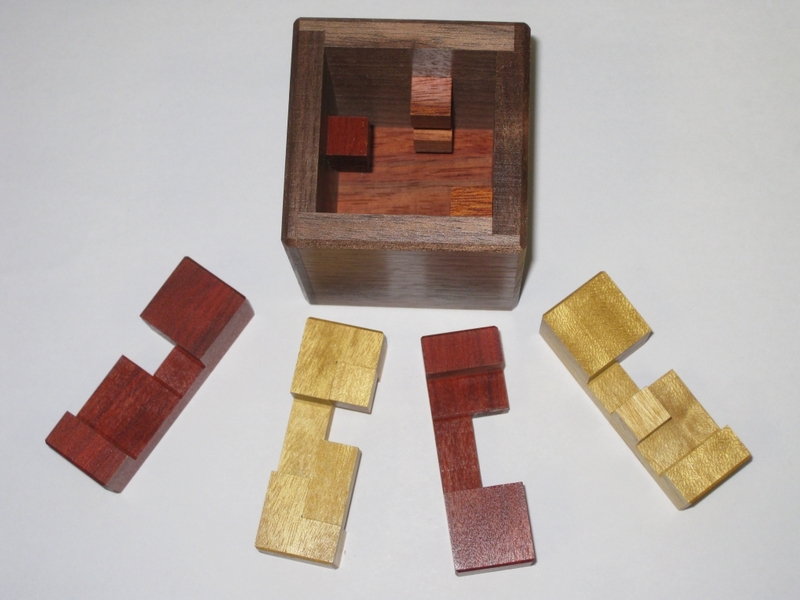 The pieces have a superb contrast, and do make the solution easier. 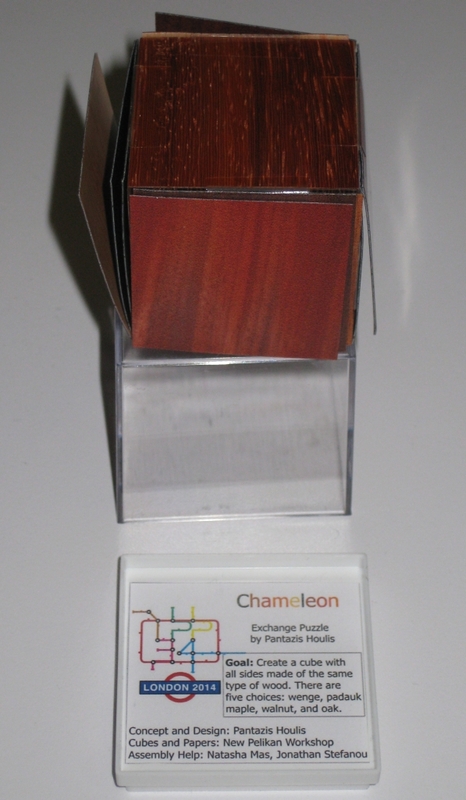 It's a good sized puzzle, measuring 2.5" x 2.5" x 2.825" making manipulation of the pieces easy. 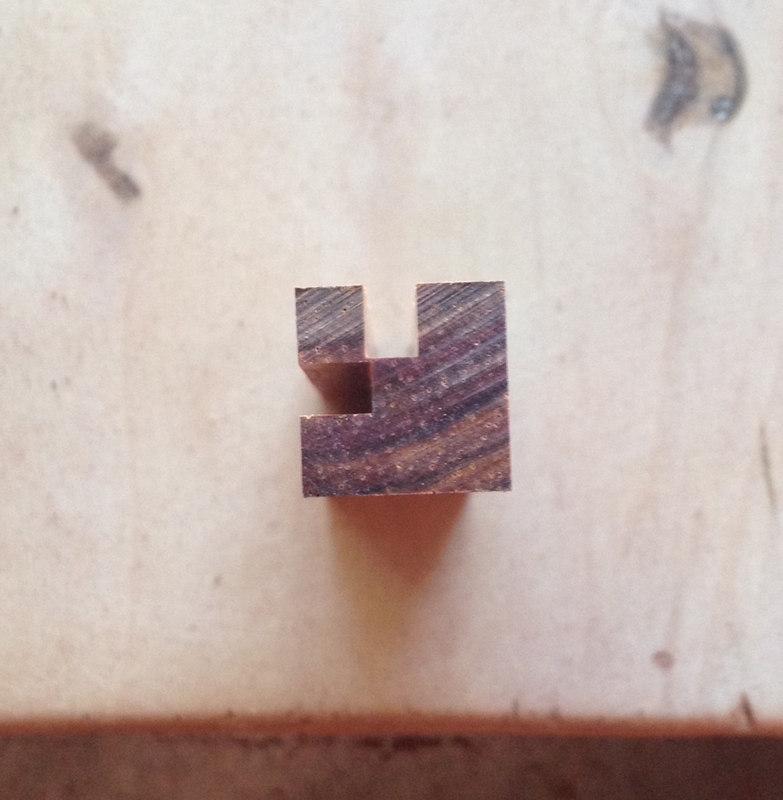 Eric mentioned that there was plenty of room inside the puzzle for wood movement, however I've found from my own copy that a couple of the pieces are rather tight. The last piece to come out, I actually believed was glued into the box by the blocks on the walls and didn't come out. As it happens, it was just an incredibly tight fit, and with a little encouragement it did come out. 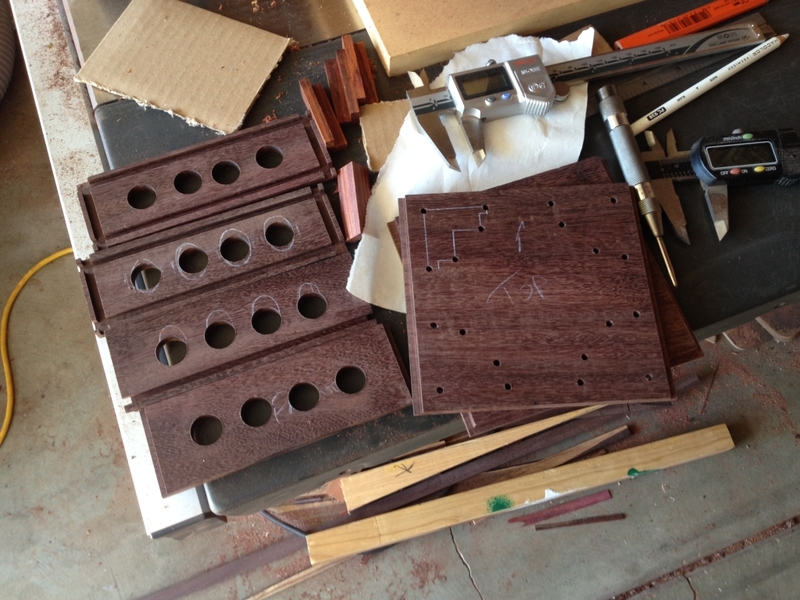 The pieces are all burr style pieces, and all feel solid so there's no worry about breaking anything. Equally, the pins are well attached to the box, so they're unlikely to come off without some serious abuse. 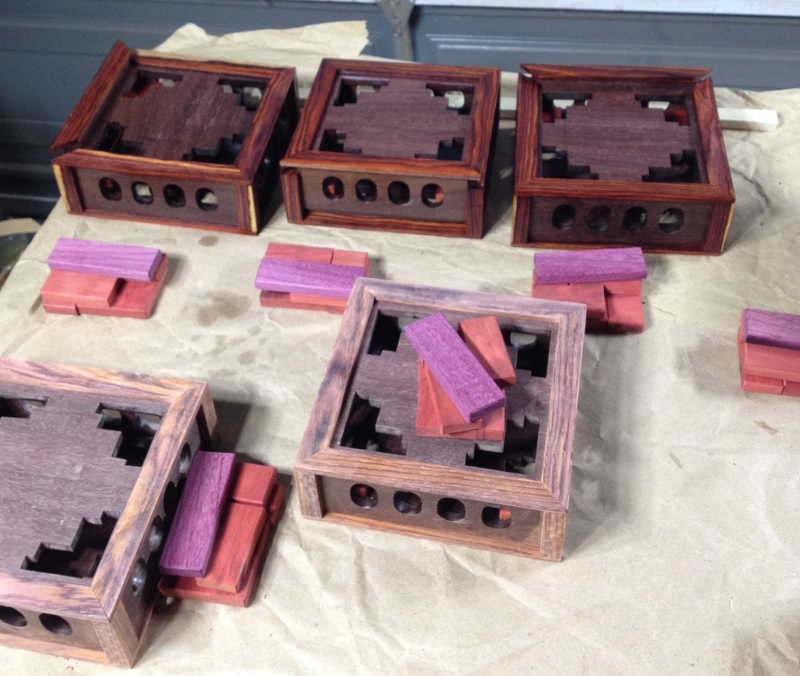 The goal of the puzzle is to remove the burr pieces and return them to their box. 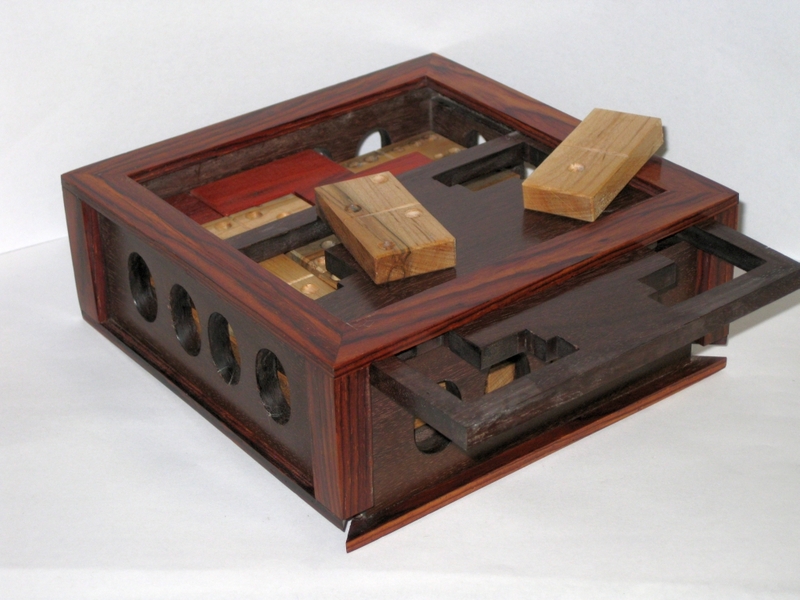 What makes the puzzle different is that for the most part, it's not possible to manipulate the pieces directly, but instead you need to shake, turn and jiggle the box to move the pieces. 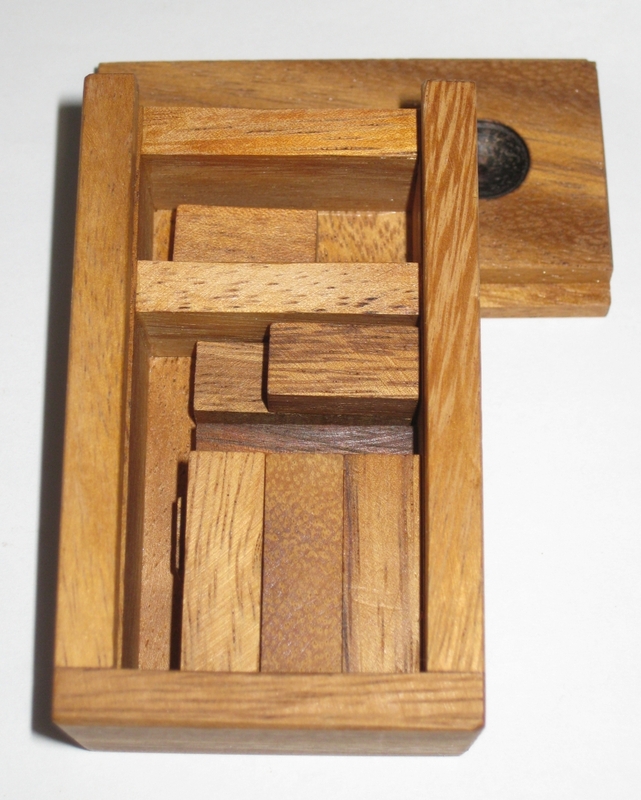 To make things more interesting, the internal blockages in the box remain hidden, meaning you can't see the interactions between the pieces, and need to carefully observe and react to the obstructions you find. 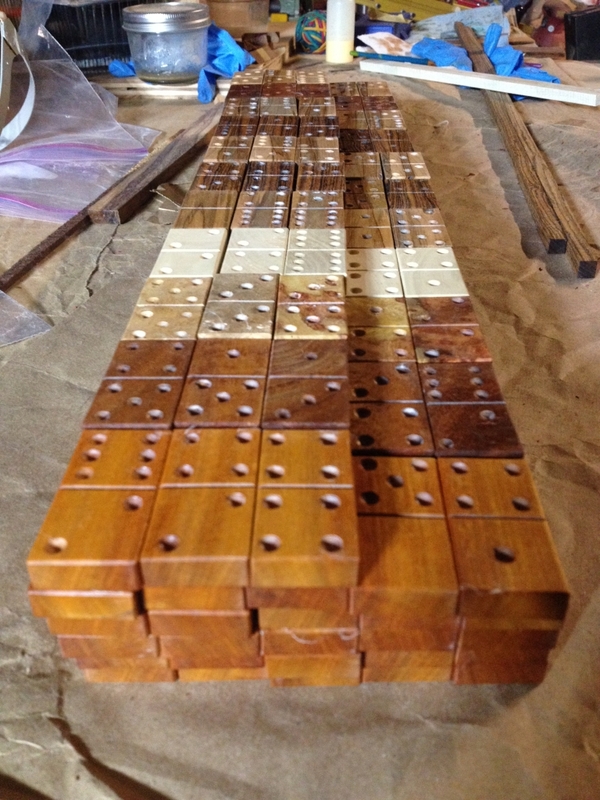 In total, there are 14 moves required to remove the first piece, with a total complexity of 14.2.4. I found that removing the pieces wasn't too much of a challenge, taking around 5 minutes, however I didn't pay all that much attention to how the pieces came out, and left them scrambled before trying to put them back into the box. I think this was my own folly, as I thought it was fairly straight forward when taking it apart. As it turns out, I had a much bigger challenge putting it back together, and it took several hours over a few nights to get it back to the starting position. As I mentioned previously, given that I have one piece which I thought was stuck in place, I was only having to worry about 3 pieces, as there was one which had to be in the right place and orientation. Still I got lots of puzzling for my money! 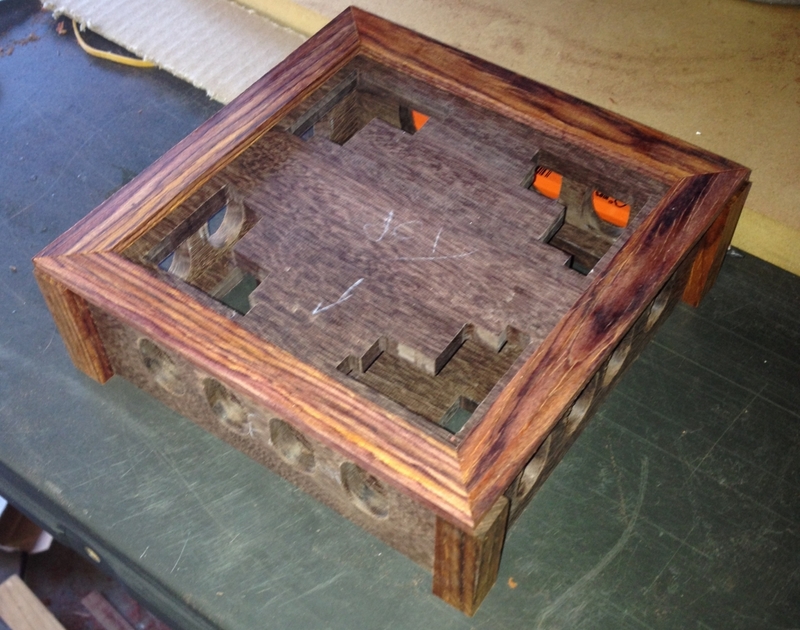 With all the pieces removed, you can see the blocks on the inside of the box which interact with the burr pieces, and make the puzzle both challenging, and a lot of fun. 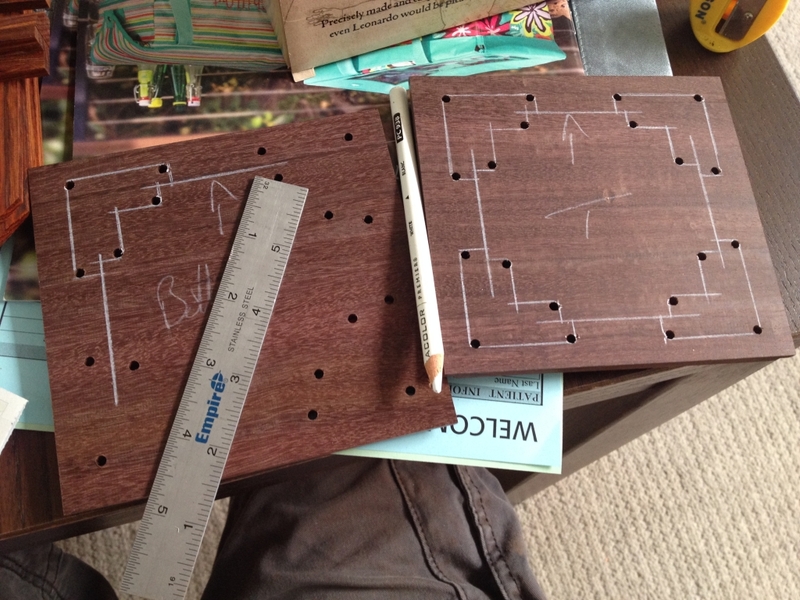 Having solved the puzzle without the need for help, I was pretty happy, so took the expected step of plugging the puzzle into Burr Tools, and seeing what it came up with. 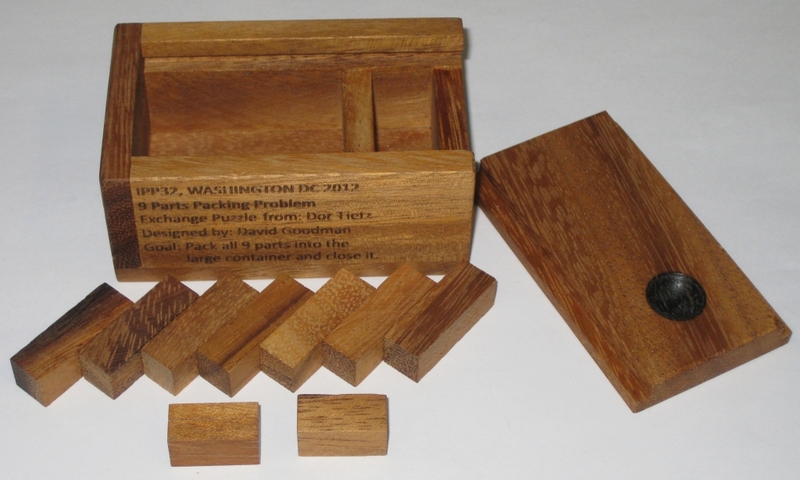 Apparently there are 1924 ways that the pieces can fit in the box, but only 3 ways to assemble the pieces. 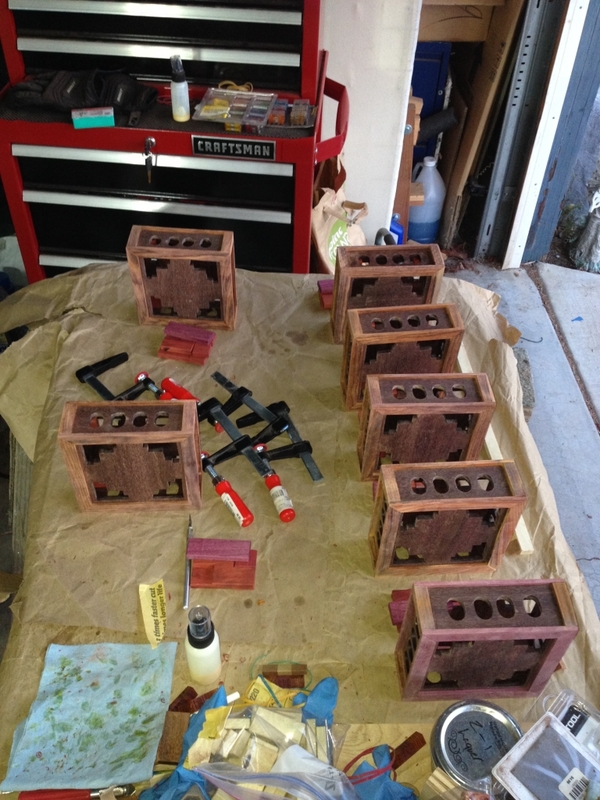 That means that if you didn't have the walls of the box glued together, there would be 1924 ways to put the pieces together, however with them glued up, only 3 of the possible combinations can be assembled into the solution. I feel pretty good having found one of the three on my own. 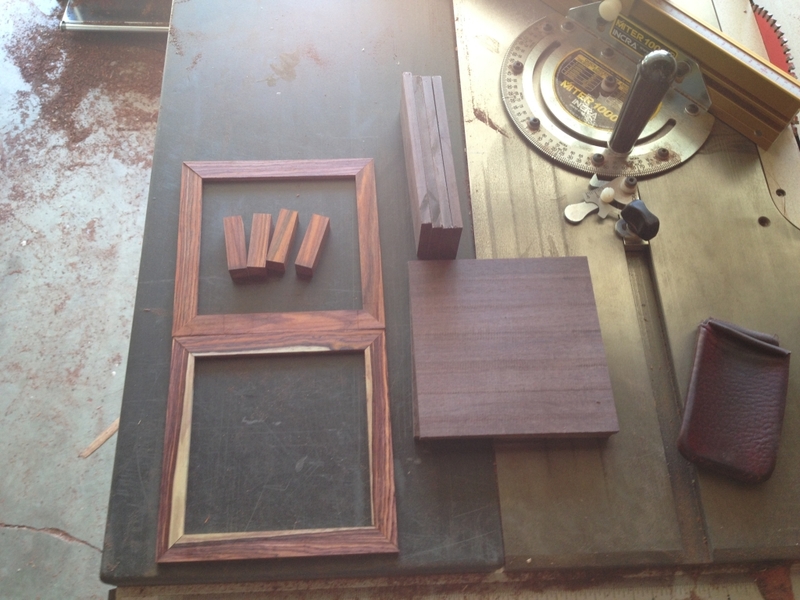 It's certainly manageable, and I highly recommend that you give it a try before just asking Burr Tools to help.